As a collector I don’t recall a period of time where I didn’t desire or love a single pair at any time. It’s just a thing. We appreciate different things about each pair and in only liking, say, the material’s used we justify the purchase and they are added to the collection. We may regret it a few weeks or months down the line but sometimes they go on to be a prosperous pair that always seem to feature in that quick trip to the shop. On a more religious side, we have our grails- Our mythical top 3 (5 for the greedy f***ers) that since laying eyes upon them have been with you ever since. 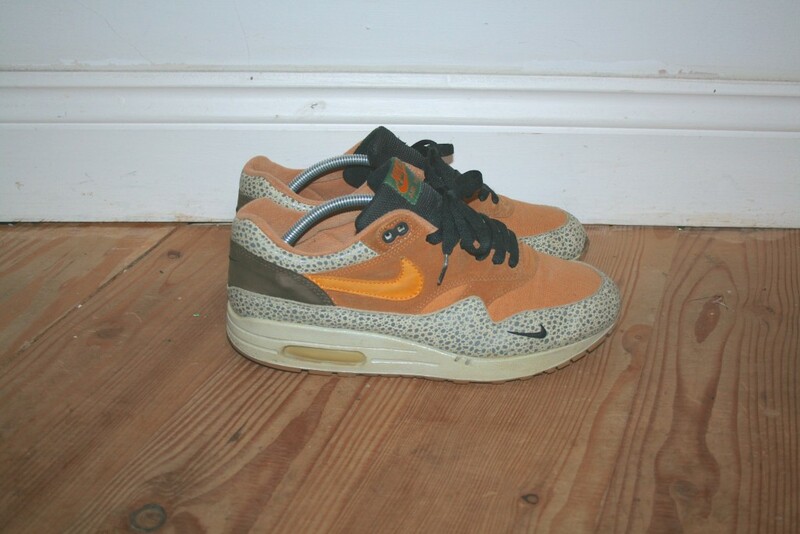 Most of the time these were released back when I was still sucking on the proverbial teet of adolescence and had no means of income or they were only released in some underground/ cross country pop-up or fashion event. 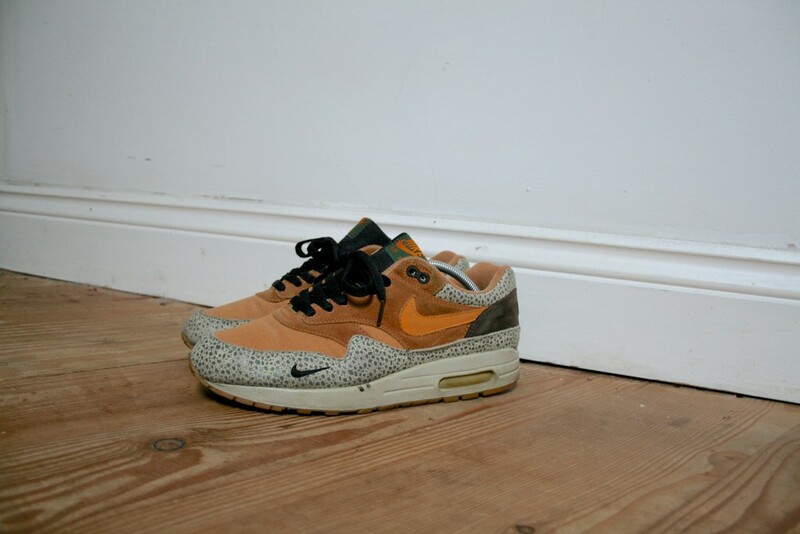 Others may just have been worn by Kanye West and then all bought up by bots and sold for double the price. Never the less- everyone has their own opinion which relates to taste and a grail is grail, regardless of how deep in your pocket you had to/ didn’t have to go. In rambling I have been trying to share with you my relatively recent grail procurement. 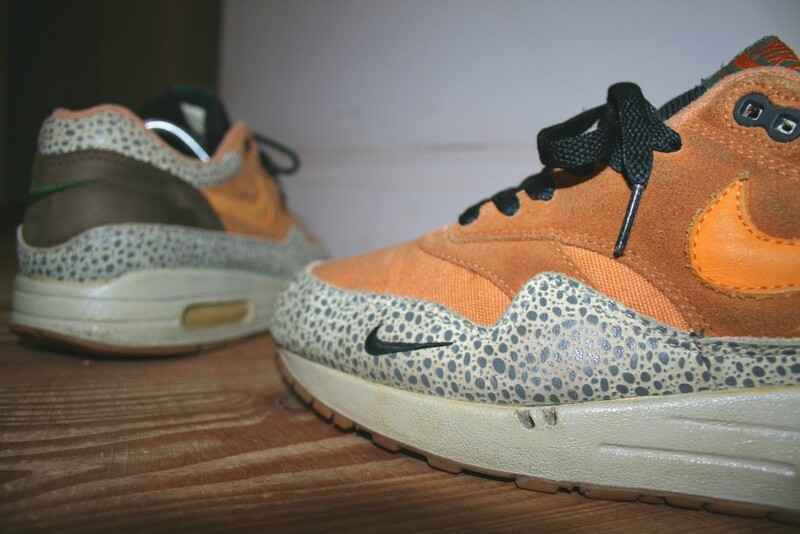 Some time before christmas I managed to grab myself a pair of Nike x Atmos- air max safari’s. A trainer that has been in my top three since the beginning. 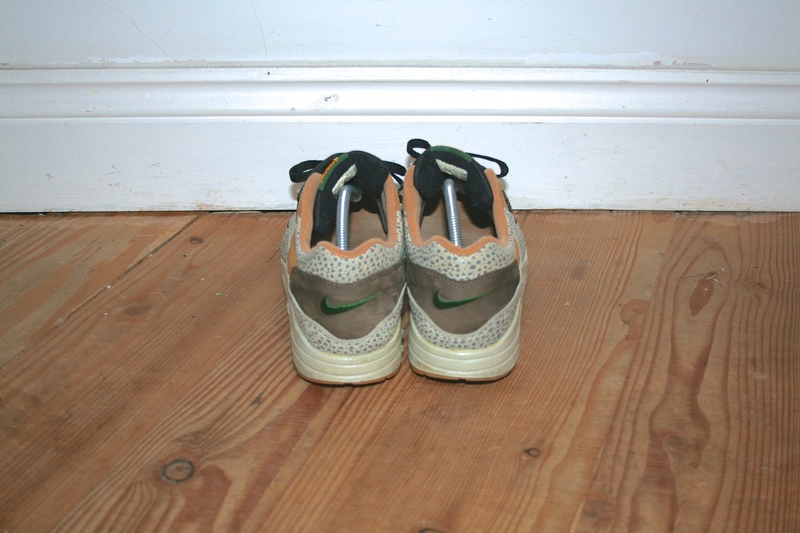 I was lucky enough to get them for a substantially lower amount than they normally go for- the uppers are in a good condition and the air air bubble is cloudy. However, due to the circumstances of this particular pair I guess I wasn’t frightened of wearing them and most recently one of the soles has started to crumble and I will at some point need to perform a sole swap (if you have any suitable soles going then please get in touch- UK10). I am however not too bothered as the uppers is still looking good and I will be able to continue rocking them until the sole falls off. About the trainers tho… Atmos collaborated with Nike back in 2002 to create these. 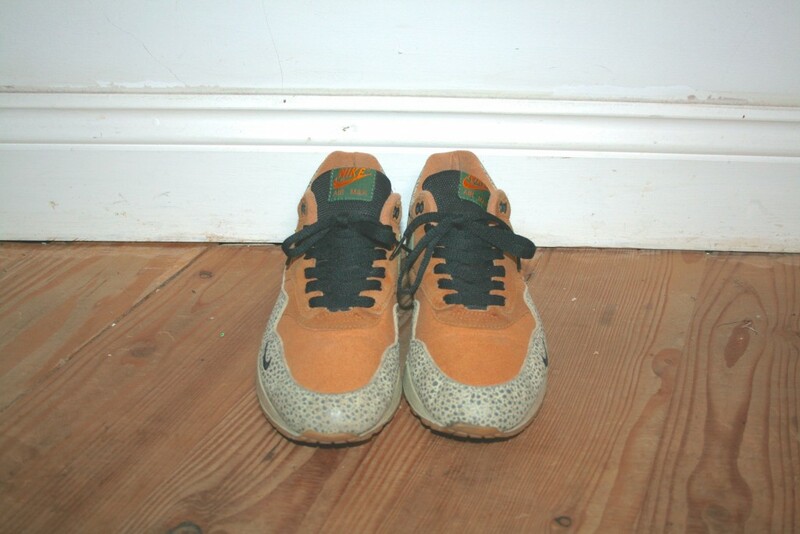 They boast a number of different materials namely two different types of suede. The widely adored mini swoosh along with another on the heel- similar to the atmos ‘viotech’s’ also feature. All in these are a very well designed and put together pair that we won’t be seeing much of soon as they come towards their 15th birthday. Truly, one of the best in my opinion.